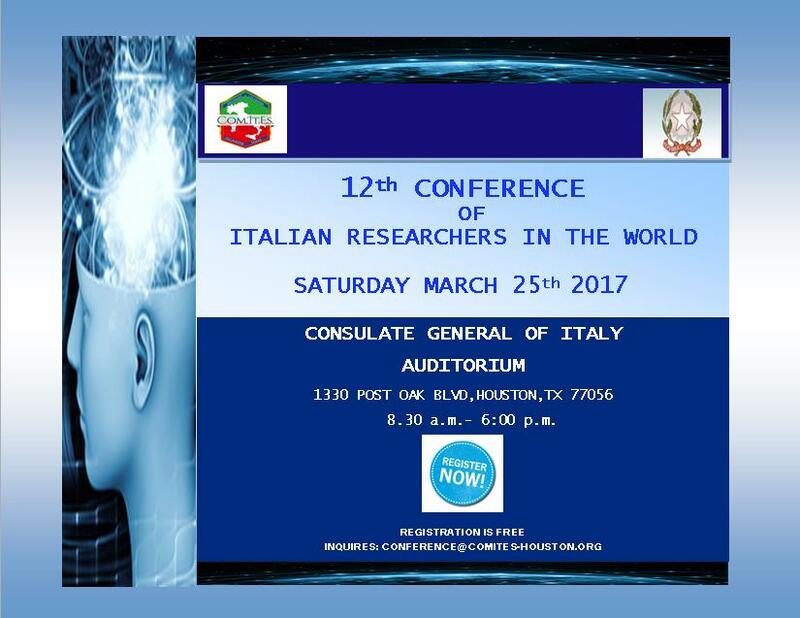 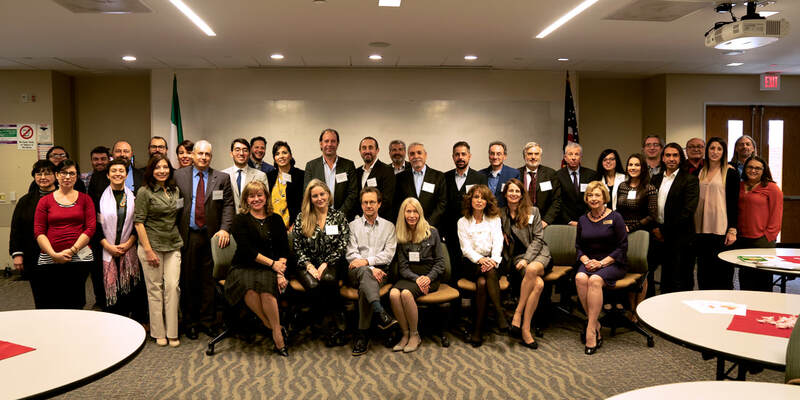 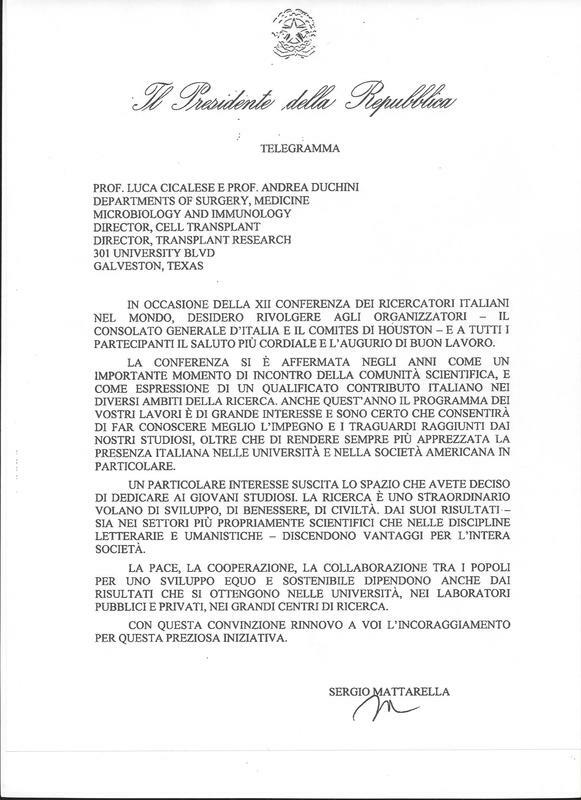 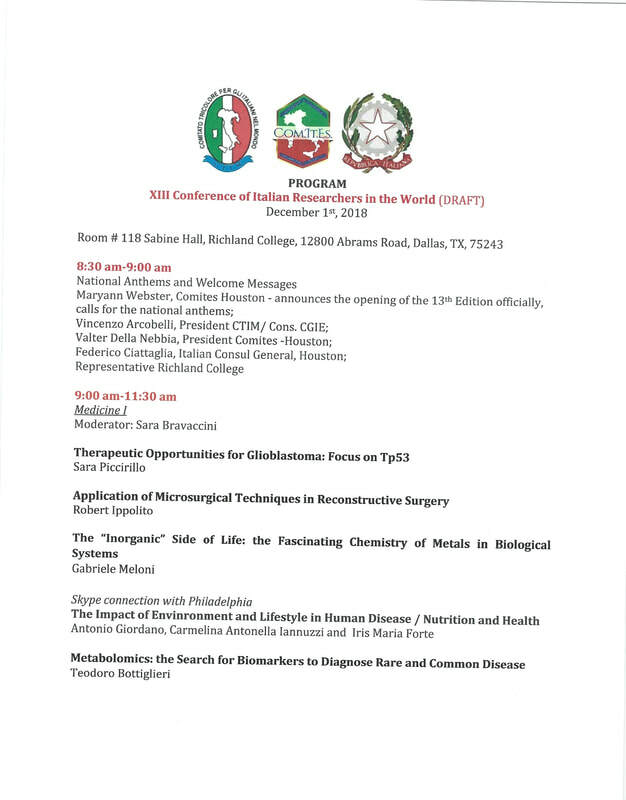 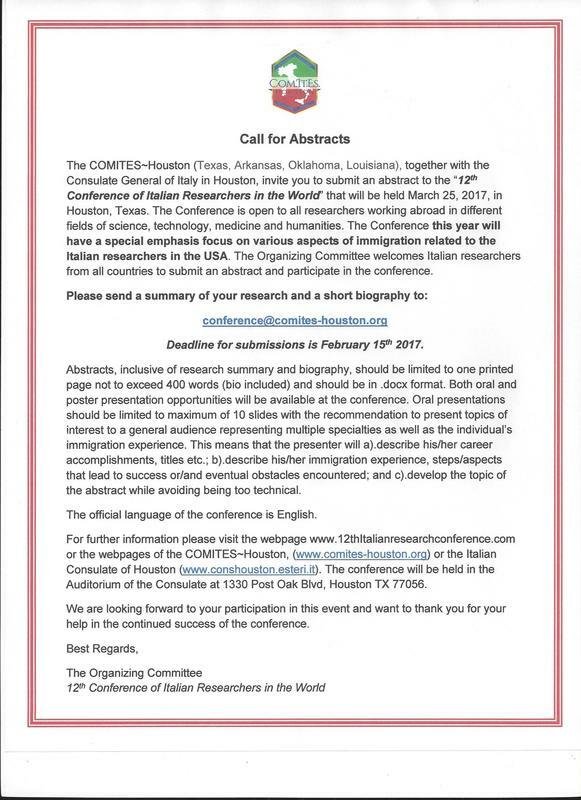 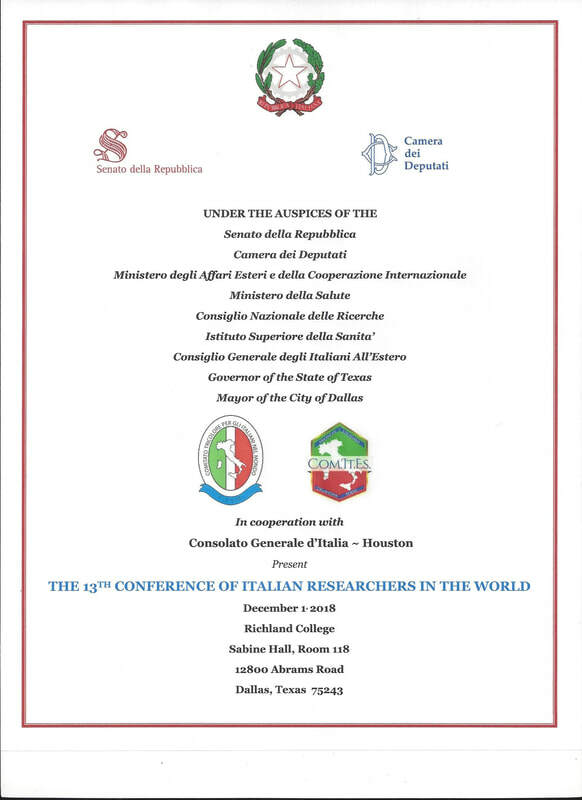 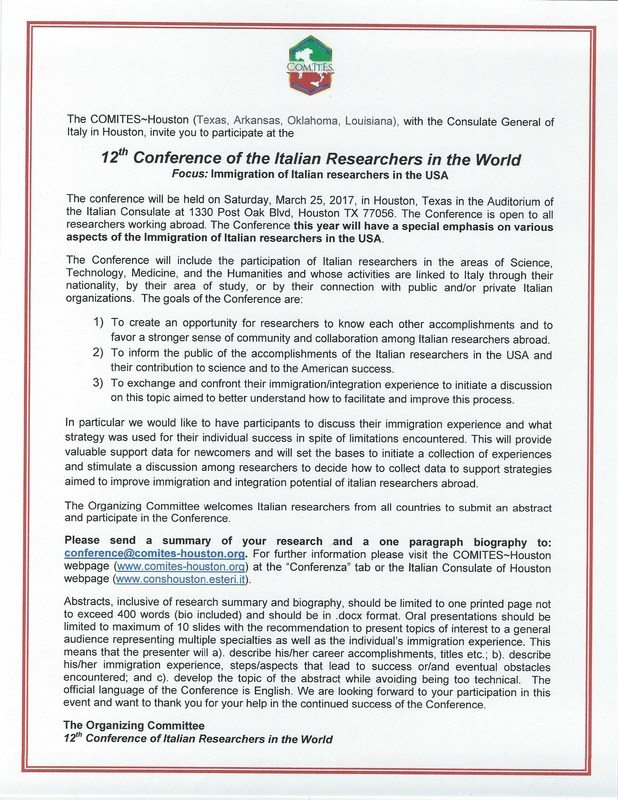 The 13th Conference of Italian Researchers in the World has garnered significant official support ~ from recognition from the Governor of Texas to patrocini from the Senato della Repubblica, Camera dei Deputati, Ministero della Salute, Istituto Superiore di Sanita', CNR, MAECI, and CGIE. 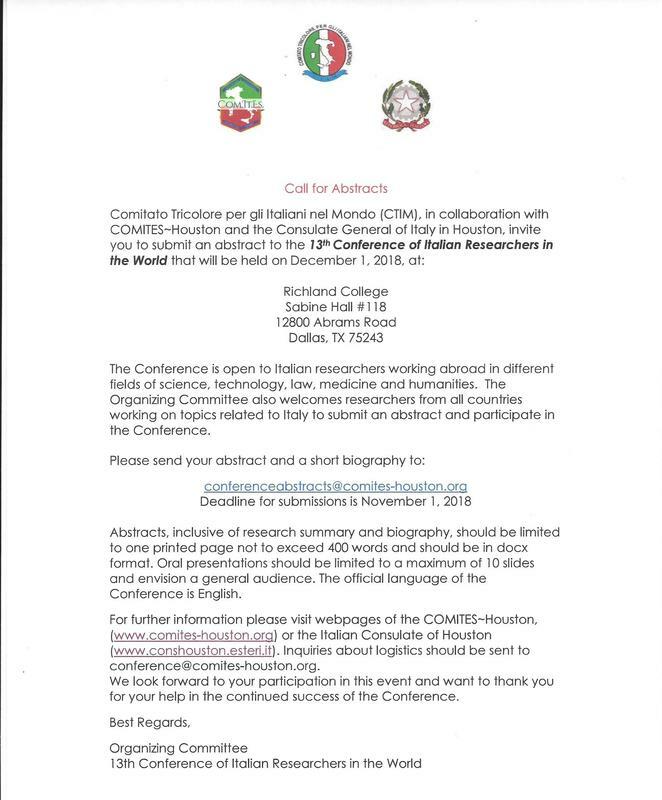 A complete list will be presented at the Conference on December 1. 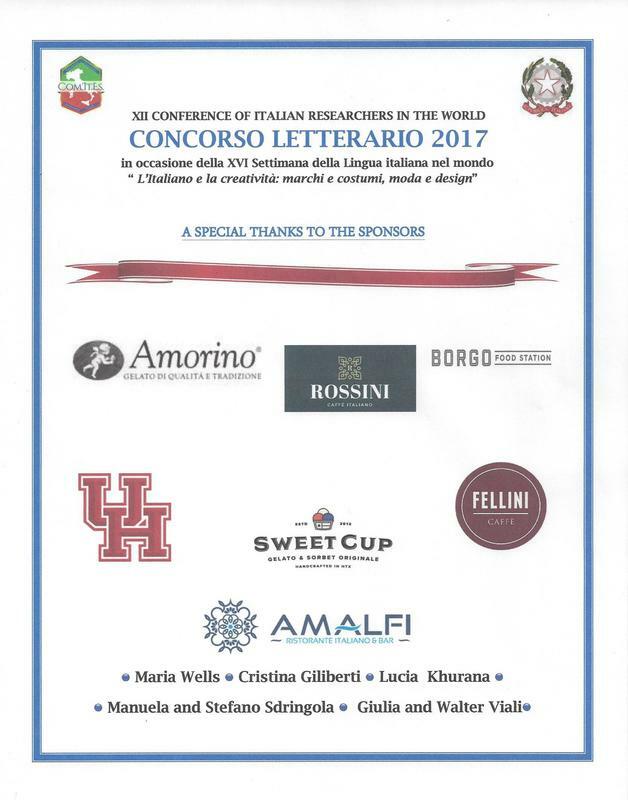 A heartfelt thank you to the sponsors of the Concorso Letterario 2017 ~ this wouldn't be possible without your support and generosity!